Are you tired of scouring the internet for parts and accessories for your Kawasaki Mule . At Side By Side Sports we have all of the accessories you need for Mule. Whether it is the Mule 610, Mule Pro-FX or Mule SX we have the goods to get you outfitted. We have a large selection of enclosures, windshields, roofs and doors to protect you from the elements. Additionally we have side by side mirrors, lighting and storage accessories for any creature comforts you need. 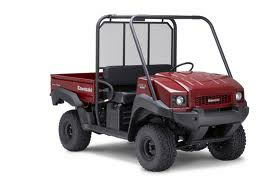 The Kawasaki Mule is one of the greatest workhorses in the side by side industry. If you are working on the farm or out hunting with your buddies, we have all of the parts that you will need and want for your Mule.